An Estacada business has a new name but still offers the same tasty products. Pam Pittman is the new force behind Trails End Kettle Corn, previously known as Papa Lee's Kettle Korn. Pittman, a longtime employee of the business, took over operations after founder Lee Van Winkle's retirement earlier this year. Pittman and Van Winkle met while selling wares at a bazaar at St. Aloysius Church in Estacada, and Pittman began assisting with emails, social media, scheduling and other task at the kettle corn business. 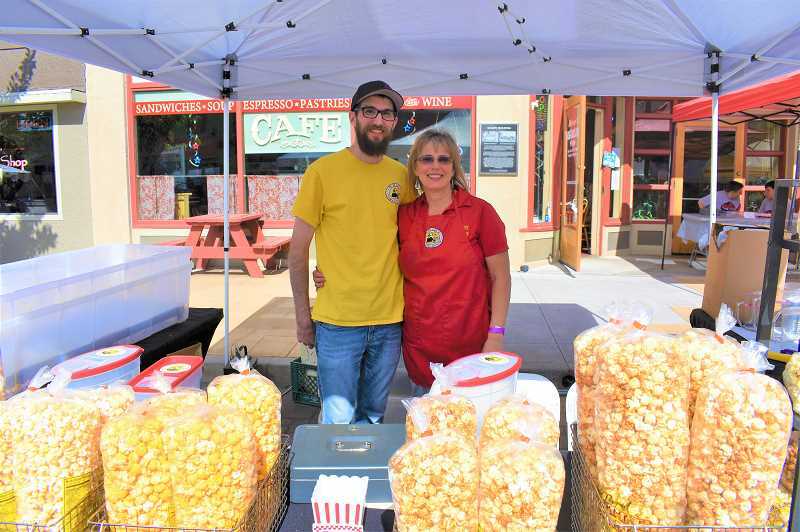 Pittman now operates Trails End Kettle Corn with the help of her family, including her son, Travis, and daughter, Carla. The kettle corn is available at Estacada Harvest Market and several other locations around town. Pittman also participates in many events, including the Estacada Summer Celebration and Estacada Uncorked. She appreciates being involved with these gatherings. "I like being able to work with my family, and it's good social time," she said. Pittman's favorite flavor is classic kettle corn, but she also makes caramel, cheddar, dill pickle and jalapeno cheese. She likes being involved with the Estacada community and recently partnered with the high school drama club for a fundraiser, allowing them to keep a certain amount of the proceeds from the kettle corn they sell. Pittman thinks it's fitting that her first job was at the Broadway Theater in Estacada, and now she's in her current role. "My first job was popcorn, and my last job is popcorn," she said.